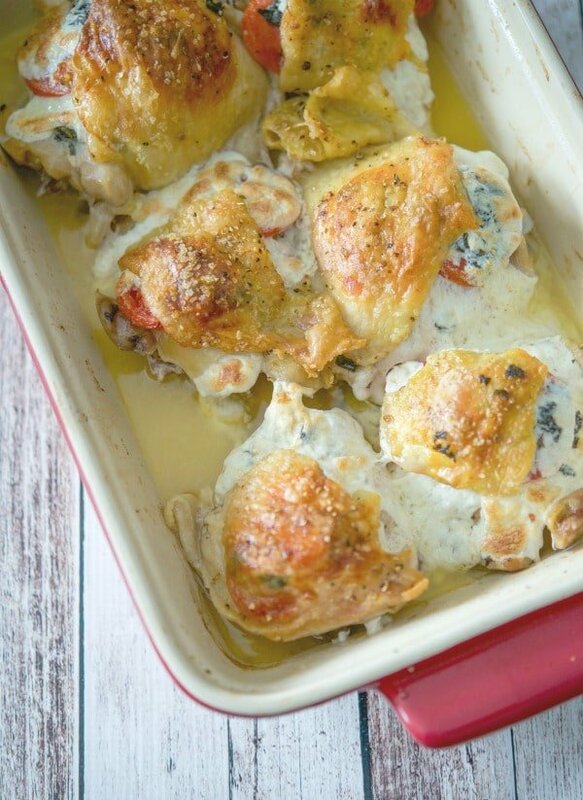 Chicken thighs stuffed with plum tomatoes, fresh Mozzarella cheese and basil is a deliciously easy weeknight meal idea that’s loaded with flavor. 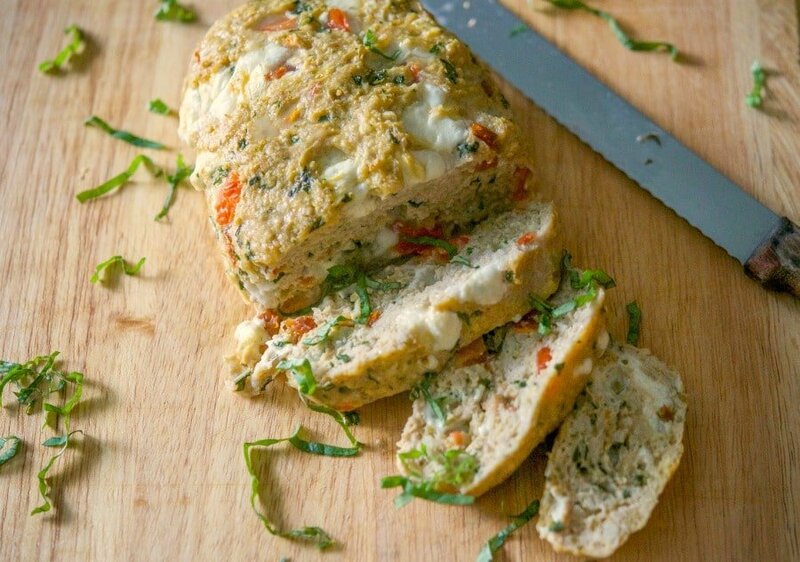 We eat chicken for dinner at least three times a week, if not more so I switch it up a bit by using boneless breasts, bone-in breasts, ground chicken and of course, meals like these Caprese Stuffed Chicken Thighs. 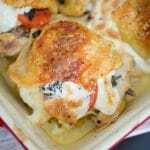 It gets hard to think of new things to make, but as you must know, Caprese style is one of my favorite flavor combinations. When something is named “Caprese”, it literally means “salad from Capri (Italy)”; which is part of a region of Campania, Province of Naples. 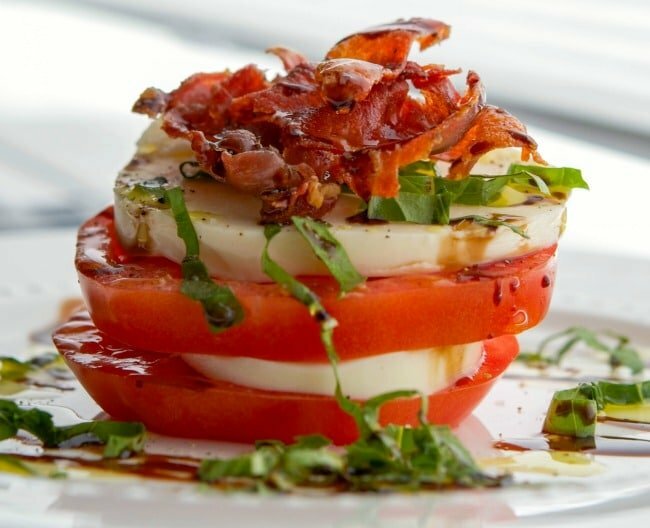 In general, it’s a simple Italian salad made with fresh mozzarella, tomatoes, and sweet basil, seasoned with salt and olive oil. Maybe it’s because my fraternal grandmother came from Campania that I enjoy these flavors so much, but when I visited there a few summers ago it just felt like “home” and I can’t wait to go back to spend more time there. 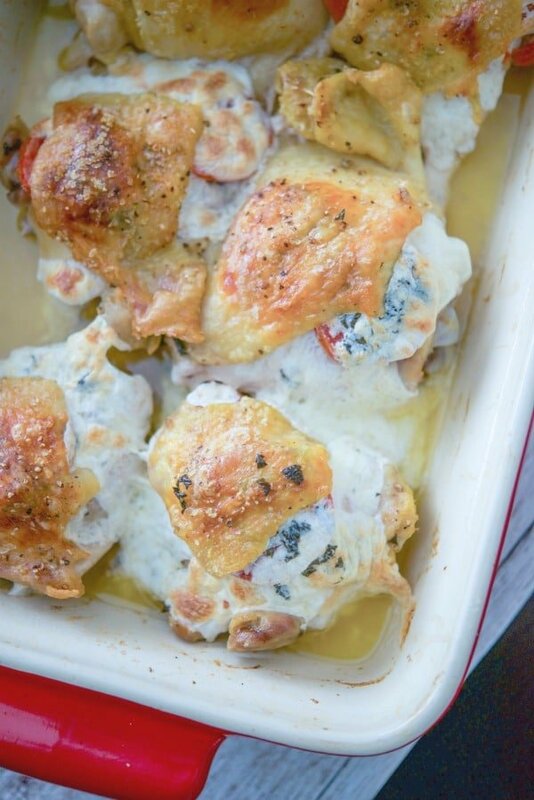 These Caprese Stuffed Chicken Thighs are so simple to make too; which comes in handy when you don’t know what to make for dinner. Simply place a plum (or Roma) tomato under the chicken thigh skin, top it with a slice of fresh mozzarella and basil (either whole leaves or chopped is fine); then drizzle some olive oil on top of the skin (or use an olive oil cooking spray) and season with Kosher salt and freshly ground black pepper. 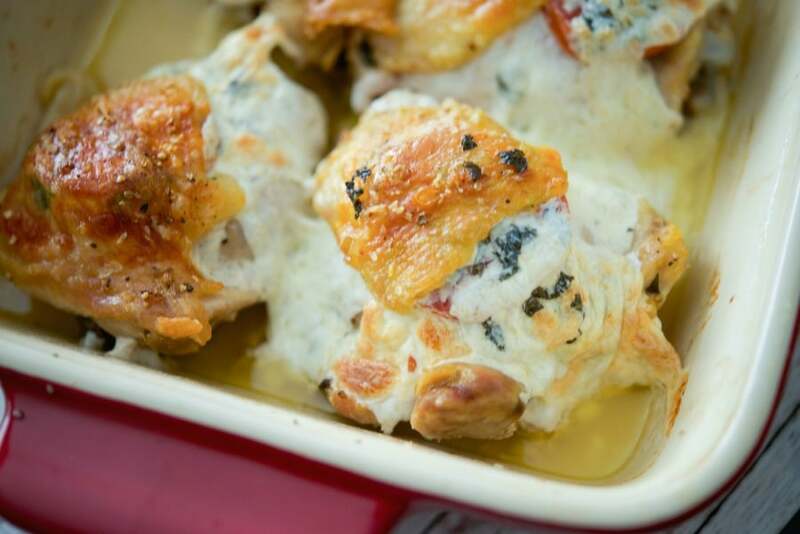 Place the chicken in an oven safe baking dish and pop it into a 375 degree F preheated oven for about 50-60 minutes (depending on the size of your chicken thighs) until a minimum temperature of 165 degrees F is reached (I prefer mine at 180 degrees). 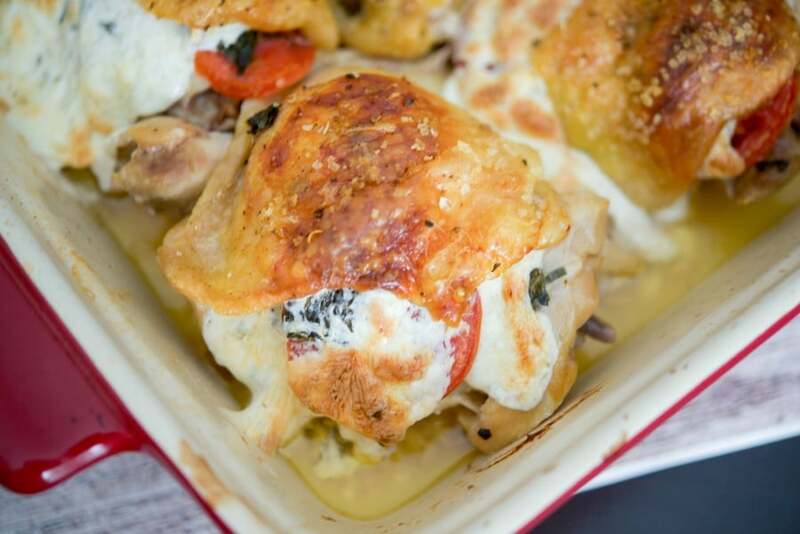 It only takes about 10 minutes to prepare the chicken to go into the oven; especially if you purchase the pre-sliced fresh mozzarella. I think this probably goes without saying, but my family loved this meal and it’s now one of my favorites as well. 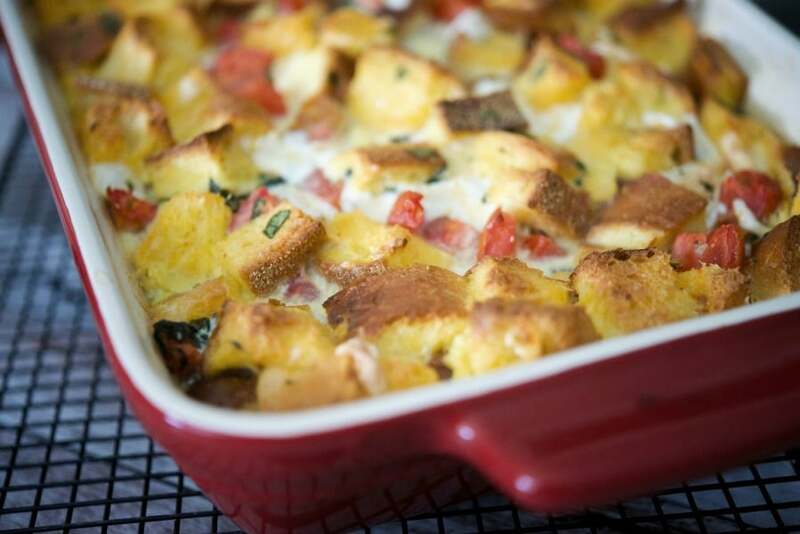 If you’d like to keep similar flavors together, serve this with Sun Dried Tomato Risotto or a Ciligene Caprese Salad. ~Enjoy! 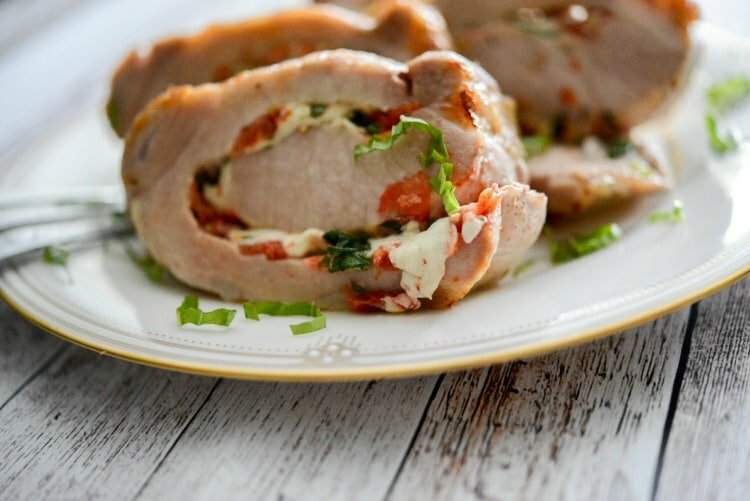 Chicken thighs stuffed with plum tomatoes, fresh Mozzarella cheese and basil is a deliciously easy weeknight meal idea that's loaded with flavor. Place 1-2 tomato slices (depending on how small) under the chicken thigh skin, top it with a slice of fresh mozzarella and basil (either whole leaves or chopped is fine); then drizzle some olive oil on top of the skin (or use an olive oil cooking spray) and season with Kosher salt and freshly ground black pepper. 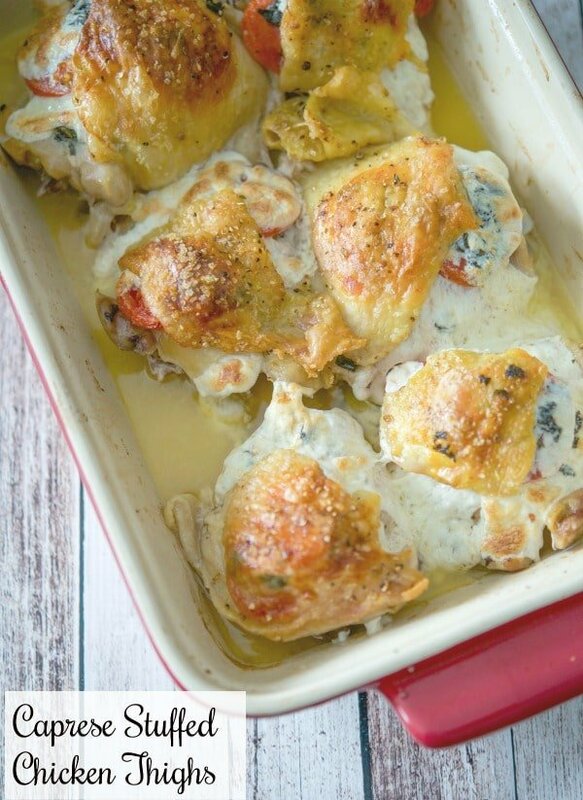 Place the chicken in an oven safe baking dish and pop it into the oven for about 50-60 minutes (depending on the size of your chicken thighs) until a minimum temperature of 165 degrees F is reached (I prefer mine at 180 degrees).